Where to find 15-pin Famicom Controllers or Adapters? Not totally sure if this is the right section, but I figure you guys might be able to help me on this. I recently picked up an unusual Australian 72-pin Famiclone, but it didn't come with any controllers. 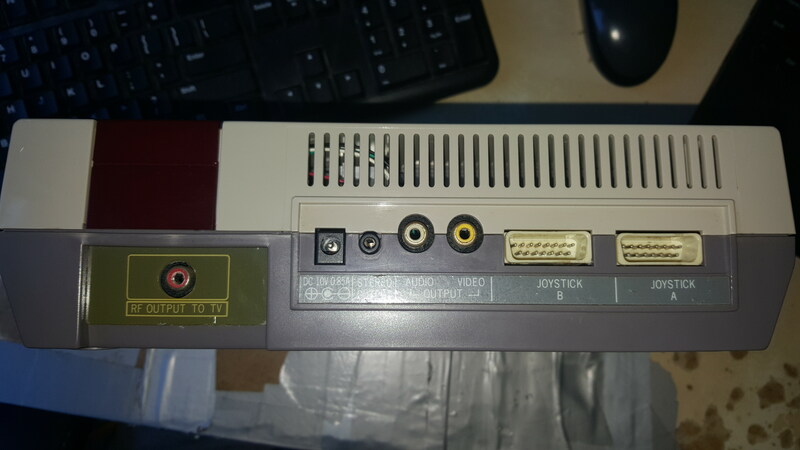 I'm not entirely sure where to find external Famicom controllers - understanding they would probably use the same pinout as the Spica IQ 701, and most searches also bring up simply using NES > Famicom controller adapters. Given how most modern replacement controllers are spec'd towards the NES controller port type anyway, I'm more interested in trying to find an adapter rather than outright Famicom controller, but I'm interested in finding either. Would anyone be sure where I could find either? My Google-Fu is, honestly, weak. Also, if anyone knows where I could buy a replacement 2A07, it would be amazing. The machine seems like it was manufactured with UMC clone parts - the same that come on Dendy units, and I understand that there's some compatibility issues on those when running PAL software. EDIT: And then my Google-Fu churns up something, but I am unsure if it would be the appropriate product and would like to here what you guys think first. Do you have a multimeter handy? You could find out if the pinout is the same as the Famicom expansion port, and if so any controller designed for that might work. Okay, so, through the magical power of using a literal foglight through the PCB, the NESDev Wiki, an attempt at good eyesight, and consulting with a damn good friend on this subject and owing him a favour, we've not only determined that the first controller input expects the same sort of pinout as most generic 15-pin Famiclone controllers of the modern era, but that this thing also supports the bloody FDS through the second port. I still, however, need to buy a multimeter to help assist in my repairs on a Master System II. Thank you for the help and recommendation, Billy! Still on the ear out for a good source of 2A07's!